What Should I Feed My Toddler For Lunch? Confession. Lola’s first taste of food was when she was five and a half months old and she snatched pulled pork off of Michael’s plate. She shoved it in her mouth and hasn’t looked back. She could not be bothered with rice cereal. She went through a season where she loved oatmeal but only if it had cinnamon and cream in it. She never really liked baby food either- she turned up her nose to the homemade and store bought variety. She’d rather have whatever it is we’re eating. If we’re eating something, she wants it. Even if she’s just had her own dinner. We often joke that she’s like a dog. She come all the way across the room to beg for whatever it is we’ve got on her plate. There isn’t too much she doesn’t love. She’s had kalmata olives, salmon, spicy Indian food, and pad thai. The other day she clawed her way through a samosa like her life depended on it. I struggle with lunch ideas for Lola. She eats what we eat at dinner time, but lunch is tricky for us. She takes a long range mid day nap and I eat (in peace, holla!) while she’s sleeping. In an effort not to feed her graham crackers and applesauce everyday, I’ve come up with this road map to follow: protein, dairy, vegetable, fruit. The combinations are endless, but I really needed a formula. I’m a list girl. I like to make check marks. We typically have all of the following foods in our home. I’ve been picking one thing from each category. It’s been super simple, which is just what I need! 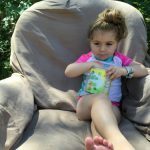 When Mom Made reached out to us to see if we’d like to review some of their products, I knew my little foodie would be up for it. Mom Made sent us coupons to try out a few of their products. I choose the turkey meatball bites because they are so versatile. They stand alone to as a protein but can also be used as an ingredient in a dinner dish (spaghetti and meatballs or Swedish meatballs over potatoes are two of our faves). They heat up in the microwave quickly and don’t contain any junk. They are all natural and made with turkey raised without antibiotics. I love that I can pronounce all of the ingredients. Ingredients: Turkey raised without antibiotics, Breadcrumbs (unbleached wheat flour,salt and yeast), Celery,Onions, Water, Non fat milk, Contains less than 2% of the following: Seasoning (spices, sea salt), Sunflower lecithin. Contains Wheat and Milk. This lunch contained frozen mixed vegetables, cut string cheese, sliced apples, and Mom Made Turkey Meatballs. I know it seems a bit funny, but Lola loves frozen fruit and vegetables. I’m pretty sure that it has to do with the fact that she’s teething. For the record, she really enjoyed the meatballs. She had at least one in her hand and and one in her mouth almost the whole time she ate. You can find Mom Made products in most traditional grocery stores. While they are all natural and organic, I found them in the traditional frozen food section (not the specialty organic section). Eve is apparently just like Lola in that regard! She will eat ANYTHING (seriously, we haven’t found anything she won’t eat) and if we’re eating in front of her then we better be offering some of it to her. I agree, sometimes it can be tricky to figure out what to feed her, but I like that formula, though sadly she’s still off dairy for another month. She looks so grown up!! And you can tell Lola tha tI’m not teething and I love to eat frozen corn. I let the kids tr it once and now I can barely get it into the microwave!! You’re lucky to have such a good eater! Our daughter is the same. Great you have a list of go-to meals. I don’t struggle with that so much now because we eat dinner leftovers but when it’s time to pack lunches for them, then I’ll be challenged, for sure. 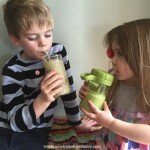 My kids love frozen peas! So funny. I will have to look for Mom Made at my market…always nice to have some shortcuts in the freezer. Nancy recently posted..What Aging Looks Like. I have never had much of an issue with my older son, but my little one, who is 7 has ALWAYS been a picky eater. Thank you for sharing this. 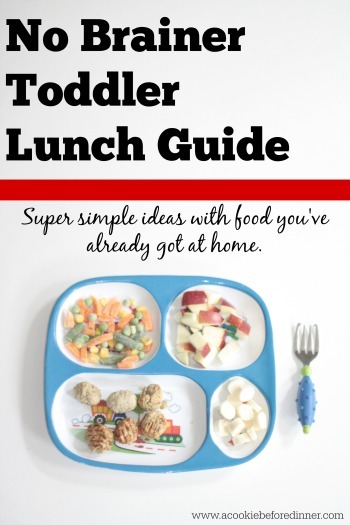 I always struggle with lunch ideas for my toddler too, especially with trying to get him to eat meat and protein. She’s so cute. It’s nice that she;s not that picky with her food. It looks like she is really enjoying her meal. My kids were not picky eaters.. they would eat anything we put in front of their face. She looks like she is happy with her food! It is great she is such a good eater. My son would only eat chicken nuggets, bologna and hot dogs when he was little. This Is Great Thank You ALL 3 Of My Kids Are Sooooooooo Picky Hopefully This Will Help Thank You! Good lunch guide. My daughter is just like her. She would eat everything and still has a great appetite. 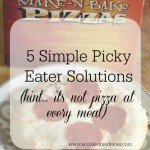 My first is SUCH a picky eater – but I love this for Levi! She is gonna grow up to be a lovely girl! And, I am amazed at home she looked happy even with those vegetables & fruits. I see my cousins struggle with their children coz they just don’t like healthy meals. It’s good that you started her young on this. Great post with great ideas. 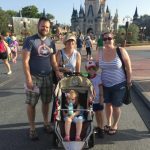 I’m through the toddler stage with my 4 kids – it gets easier! These are great lunches. My daughter was a picky eater. What a good eater she is! You’re really lucky that she’s not picky, and enjoys so many flavors and spices! Your daughter knows well, always go for the pulled pork and never look back! I could really go for some myself. 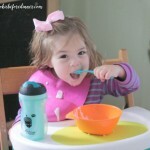 Great list for baby food! Lucky you, your daughter is not a picky eater. 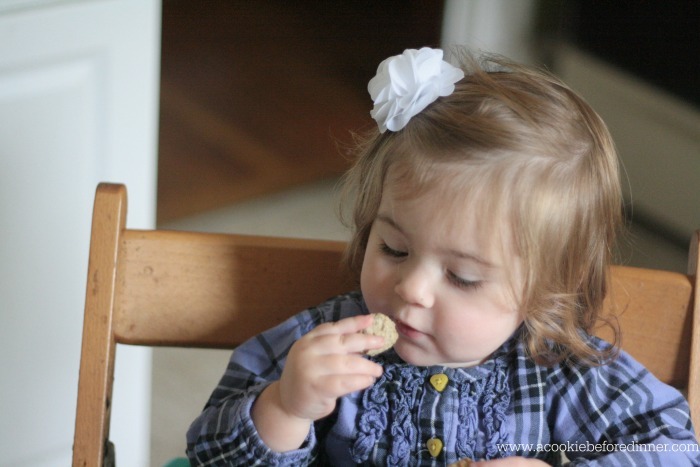 Toddlers can be so picky and eating time can be so challenging. She’s such a cuties! 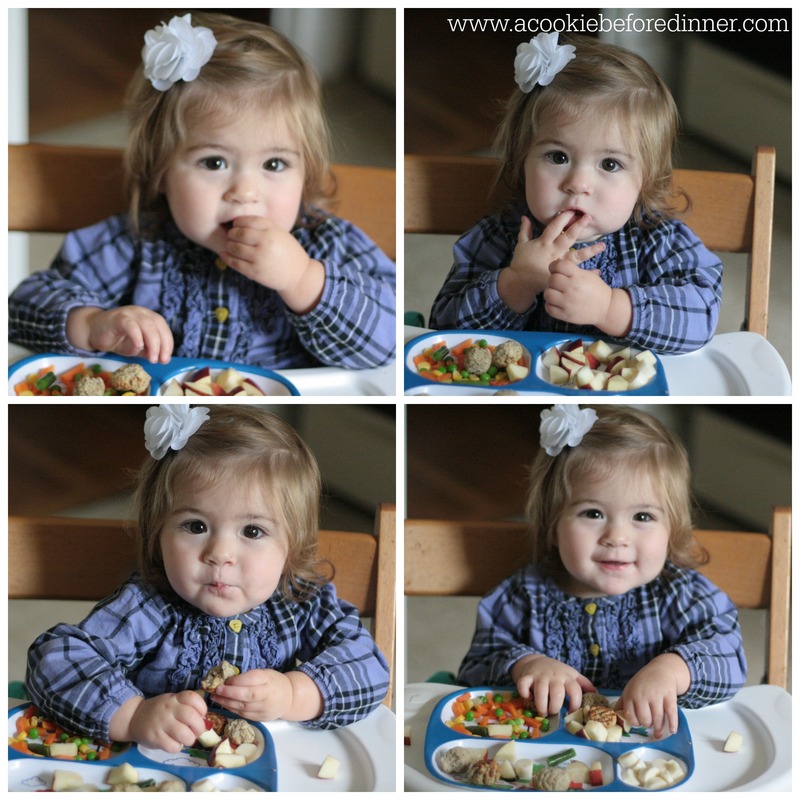 I think it’s a great idea to start kids out eating healthy foods right from the beginning. She is adorable for sure. I have never heard of the Mom Made products before but sound awesome. I will have to share this with my niece who has toddlers. Thanks for sharing. Your daughter is adorable. 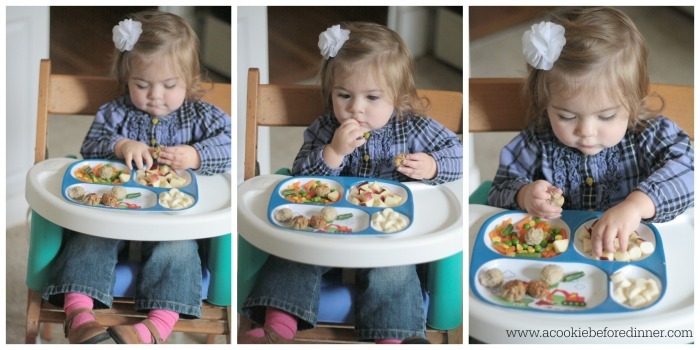 I have one not-so-picky eater, then another who wasn’t picky as a younger one, then a super picky eater from day one. I will have to look into these ideas for my youngest, even though he isn’t a toddler anymore! your daughter is the cutest!! (and smartest) she knows whats good, she doesn’t see you eating baby food so why would her? lol — Glad your finding a balance of nutrients, thats everything that matters, balance. What a cutie! That little plate looks awesome! Looks like a great way to make sure the meal is well balanced. Good to know that she loves vegetables and frozen fruits. Kids can be picky. My son is so picky. He seldom eats vegetables. I have one friend who tried tasting almost all the baby food brands in the market and found that they don’t really taste good. So what she did was to create food that’s safe for babies. Now her toddler has a big appetite. She looks so adorable! Shredding veggies is a good idea for getting kiddos to eat them, I might try that with my 1st grader…he might like them better in that form (crossing fingers). Rosey recently posted..#OrnamentsAndMore ‘Tis the Season of Giving with #Giveaway! 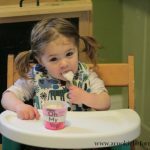 My has always been a finicky eater, but my daughter will eat just about anything! I think you just fed her the right stuff. It’s always better for kids (and for us adults too) to get a variety of vitamins and minerals every day. My kids would have loved these! Especially my youngest, who couldn’t be bothered by baby or toddler food. She wanted what we had & still does. Good thing she likes a little bit of hot sauce from time to time. She is just too precious! I think it’s great that you have let her try so many different foods. I love the formula! And I wish I had read this when my son was still a toddler! He was a really picky eater. your daughters pics are so dang cute! Love! This is such a great idea! My toddler seems to do better at lunch than at dinner. Lately he’s been telling me “I don’t like it” during dinner and it’s so frustrating. I’d rather not cook separately for him.